Can You Enter Canada with a DUI for Business Purposes? The United States and Canada share the world's largest and most comprehensive trading relationship, and the amount of business travel between the two countries is astounding. Being neighbors and close friends with Canada can make it easy for Americans to forget that like any foreign country, Canada has requirements that must be met before an individual is allowed to visit or stay in the country. In order to enter Canada, an individual must have a valid passport, be in good health, have enough money for their stay, have ties to their country of origin such as a job or family, and agree to leave Canada when their visit is over. In addition to all of this, if an individual has any criminal conviction on their US record they may be deemed criminally inadmissible to Canada. This means that a single DUI can cause a business traveler from the US to be turned away when entering Canada, even if the individual does not plan on driving once while in the country. Business travel is one of the most common reasons for Americans with a DUI to seek entry to Canada. In order for an American to come to Canada legally after being charged with impaired driving, they may need to get either a Temporary Resident Permit (TRP) or Criminal Rehabilitation Canada. Fortunately, traveling for work (such as a business meeting or business conference) is generally deemed by Canadian immigration authorities to be a fairly valid reason for needing to visit the country, and hence, for a TRP to be issued. This being said, it is still extremely important that a TRP application is filled out absolutely correctly as even an extremely small mistake can result in a rejection. It can take several months to successfully receive a Temporary Resident Permit if you apply for it directly via a Canadian consulate or visa office, which is more advance notice than many people traveling for work are given. For this reason, many US business travelers will apply for a TRP at the border when attempting to enter Canada with a past driving under the influence charge or conviction. 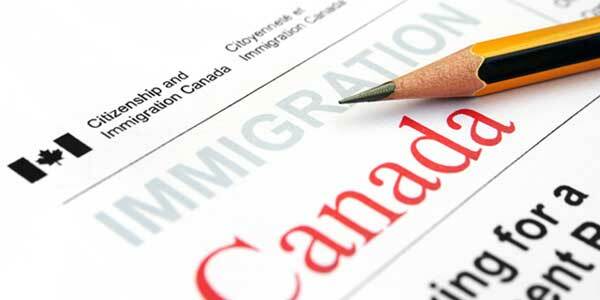 The immediate adjudication of TRP applications presented at Point of Entry (POE) means that if anything is wrong with the application, the individual may be denied entry to Canada. Not only is being refused entry into Canada tremendously embarrassing, it can also have major ramifications on one's professional life. Office gossip about how a person's criminal record caused Canada to deny them entry is never good for a career, and missing an important conference or business meeting in Canada can even lead to an employee being fired from their job. If you have a DUI or DWI and your ability to earn money in any way involves traveling to Canada, phone us immediately for a free consultation. Our team has extensive experience helping US corporate travelers with a DUI enter Canada for work without their coworkers knowing. Our Canadian immigration lawyer can help you prepare an application that will maximize your chances of successful entry, so contact us today!